Apostle Vinson was born to Mace and Nina Vinson on March 26, 1945 in the city of Middletown, OH. He was saved at the early age of 15 under the ministry of Elder Alfred Perry at the Bethlehem Temple Apostolic Church in the City of Middletown where he attended until being drafted into the US Army in 1965. Apostle Vinson served his tour of duty in Texas and in Colorado. It was during his duty in Colorado that he met and married his wife Carolyn Beechum in 1968. Apostle Vinson worked faithfully at the House of Joy Miracle Deliverance Church under the leadership of his father in law the late Apostle Reuben Beechum until being transferred back to Ohio in 1972 by the IBM Corporation. During his time back in Ohio, Apostle Vinson served in ministry at First Pentecostal Bibleway Church in Oxford, OH under the Leadership of Pastor Lenora Jenkins. 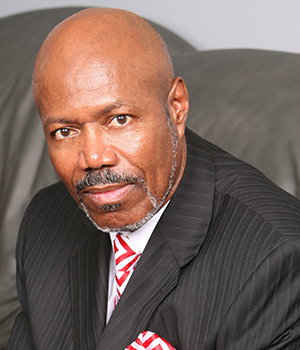 He received his ministerial license in 1975 and an Associate’s Degree from Miami Jacobs College in 1977. In 1980 the Lord saw fit to reunite the Vinson’s with the House of Joy Miracle Deliverance Church where again Apostle Vinson served faithfully under the leadership of his father in law the late Apostle Reuben Beechum as Brotherhood President. In 1984 Apostle Vinson and his family moved to Marietta, GA. It was then that God saw fit to call him into the Pastorate. In August of 1985 Highpoint Christian Tabernacle was established. It is where Apostle Vinson still remains Senior Pastor. Apostle Vinson has been honored by the Gospel Heritage Foundation as well as the Gospel Superfest Organization. In November of 2008, Apostle Vinson received an Honorary Doctorate from Saint Thomas Christian College. He also established a weekly bible study in Cartersville, GA as well the Fellowship of Independent Churches in which he oversees 4 other churches. The Vinson’s have been blessed with six lovely daughters, 3 son in-laws and 10 grandchildren. All of whom remain local and work in ministry. It is Apostle Vinson’s desire to continue the work that God has assigned his hands to do it until the Lord’s return. Dr. Carolyn Vinson is an author, speaker, gospel producer, inspirational songwriter, philanthropist and church leader. In many of her sermons, empowerment conferences, song lyrics and books, Dr. Vinson imparts wisdom gained from her life and ministry to teach about God’s transforming power. Her style has been described as candidly uplifting. 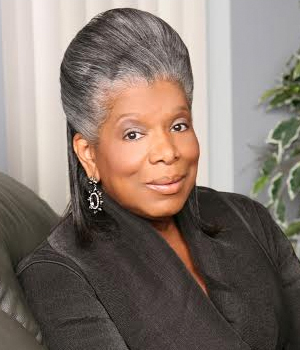 Dr. Carolyn, a well-known newspaper columnist and radio personality in Denver, Colorado, served under her father’s ministry, The House of Joy. She was the youth leader, psalmist, church organist and a powerful force in the ministry. She founded the House of Joy Children’s Choir, who went on to receive national acclaim in the music industry. She married Apostle Thomas H. Vinson in January of 1968. Together, they founded and pastor Highpoint Christian Tabernacle, an influential, non-denominational, charismatic church in Smyrna, Georgia. She is the mother of six daughters, all of whom work with them in ministry. The three youngest are the contemporary gospel Stellar Award nominated trio, V3. Evangelist Carolyn Vinson added Author to her list of accomplishments with the release of her first book entitled, “First Lady”. This book has received many accolades and was a featured item at the 2005 First Ladies Summit, held in Washington DC. Evangelist Vinson felt that it was time to tell the body of Christ what it is really like to be married to a Pastor or any man that is in the public eye. It was and is her hope that people will gain new insight and have a new level of respect for the wives and families of those who have been chosen to lead. In her second literary work, Dr. Vinson gives us an intimate account of her 2004 breast cancer experience. Her need to share this experience is evident; it is certainly quite candid and moving. Evangelist Vinson became a noted songwriter in 1984. Her credits include “Peanut Butter & Jelly”, recorded by the Truthettes on the Malaco Record label, and “I Feel Jesus”, which was recorded by Grammy/Dove nominee, Vanessa Bell Armstrong. She then directed a children’s choir album featuring the House of Joy Children’s Choir, an album entitled “It’s Coming Down”, featuring the Highpoint Christian Tabernacle Recording Choir. Gospel Truth Magazine featured her fourth project’s title song, “Rapture Ready”, on its compilation CD. “Rapture Ready” features the Highpoint Christian Tabernacle Women’s Choir. The choir was joined by famed guitarist, Johnathon Dubose, and Houston-based vocalist, Kathy Taylor Brown. Dr. Vinson’s newest CD release “WhatchaGettingHighFo?”, is a rap CD designed to reach, deliver and empower individuals struggling with substance abuse. Dr. Vinson has been highlighted in several facets of the media and has performed on the acclaimed Bobby Gospel Show on several occasions.